Getting a VoIP phone system for small business is a smart move for any growing company. There’s simply no question that a small business VoIP PBX service will save your company money and make it easy to expand as you grow. That’s because the best thing about an affordable VoIP phone system for small business is not necessarily affordability or features (although that’s important). The greatest thing about hosted PBX VoIP telephone systems for small business is the ability to connect multiple offices, home-based workers, remote works, and mobile employees on the go. And it’s fair to say growing companies are always changing. During changes and throughout growth phases a flexible solution like VoIP can keep everyone connected. Since everything is managed online, in the “cloud”, any phone can have a virtual extension forwarded to it, connecting it to your main virtual office phone system. An affordable VoIP telephone system for small business allows you to structure your company in a way that works for you. 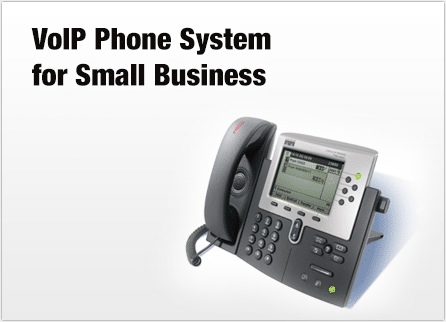 Why get a VoIP Phone system for small business? VoIP (or Voice over IP) telephone systems for small offices are affordable and cost effective. VoIP Phone service for small business requires no major upfront investment. Business VoIP telephone phone systems are flexible and scalable. 1. You don’t have to use your local internet connection so you can better control call quality. 2. UniTel Voice’s phone system can ring to your landline, cell phone or smart phone app. 3. With UniTel Voice you get unlimited users and unlimited extensions making our phone system easy and affordable.